Have you downloaded the latest iOS yet? Apple released iOS 8.3 for iPhone, iTouch and iPad. This update includes security fixes, performance improvements and 300 new emojis! 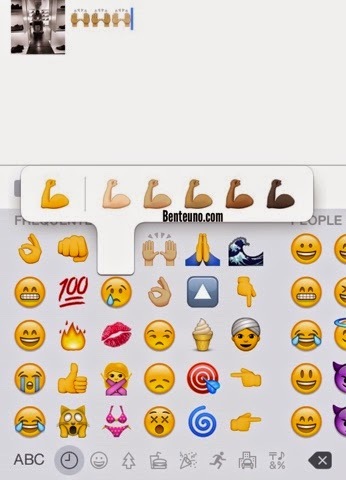 It's so diverse the it gives you a variety of skin tones for some Emojis. 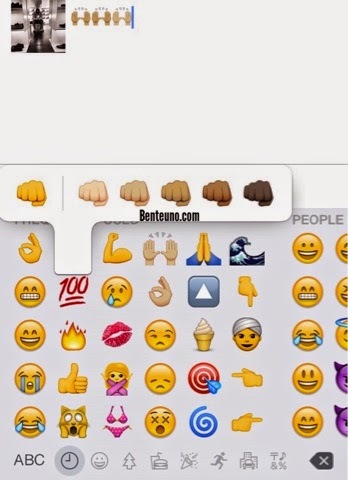 It's not your average emoji as this new iOS emojis from Apple allow users to select different skin tone. Whatever ethnicity you belong there's the right skin tone for you. If you're playing NBA from 2KSports or games that allows you to customize even the color of your skin, it's something like that. There are 6 skin tones that you can choose from, where the yellow one is the default color. Downloading the iOS 8.3 software update, also gives you Emojis of national flag from different nations. Want to know how to preview these new Apple Emojis on your phone? Watch out for our next post! 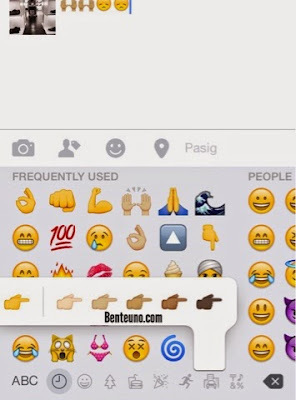 Unfortunately the variation of skin color can only be seen by Apple users, and not from other platforms. More of exclusivity for Apple mobile products. Will this entice you to switch to Apple?